Kidney Failure | Renacon Pharma Ltd. In a normal person the two kidneys each approximate the size of a close fist (12 cm) are located on both sides of the back bone below the ribs. So these are situated behind the intestines against the posterior abdominal wall. If one kidney is damaged or removed the other enlarges to provide sufficient function for a normal life. Each kidney has approximately one million filters (Nephrons) the ultimate functional unit of the kidney which removes waste products, excessive salts and water from the blood and excretes in the form of urine apart from several other important functions. In case of any disease process if the kidney function (removal of waste products) is lessened to 50 % or more or kidneys stop working at all, the condition is termed as kidney failure. In this condition the level of various waste products e.g. 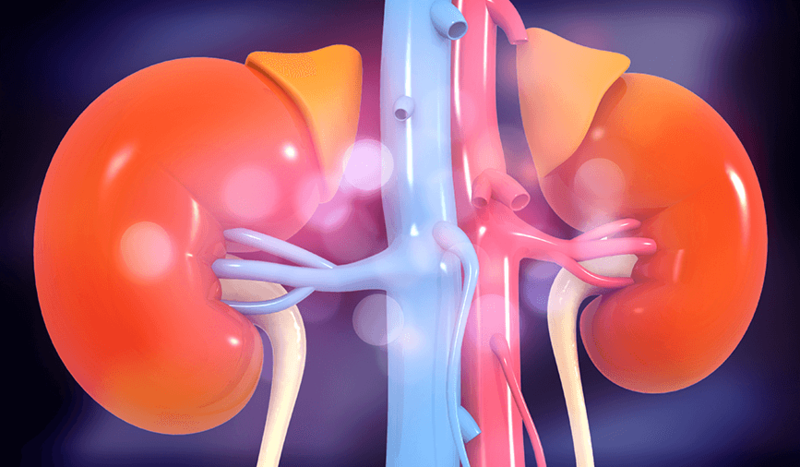 urea, rise in the blood and several others functions of the kidney are disturbed leading to abnormal conditions in the body.